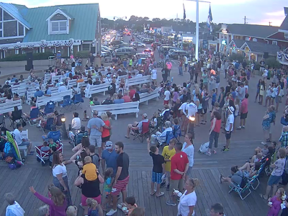 Visitors to Rehoboth Beach can enjoy a mile-long boardwalk lined with old-fashioned family amusements, attractions, beach stores, and good eats. 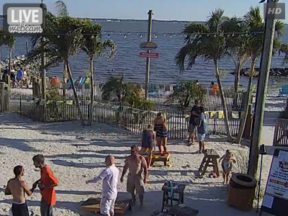 The boardwalk is a year-round place for festivals, events, and daily strolls to enjoy the ocean views. 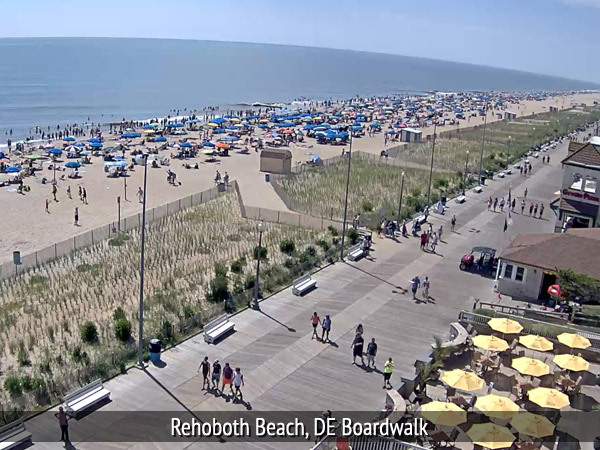 Enjoy this live webcam located on the boardwalk in Rehoboth Beach. 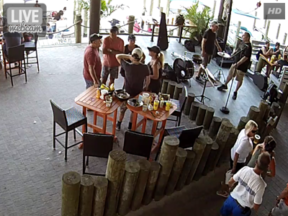 If you have visited the Delaware Beaches during the summer season, then you’re well aware that it is a hot vacation spot, and has been for decades, and the boardwalk is a combination of old-fashioned charm and modern amenities. Bike and surrey rentals are available by the hour or by the day. This list of 50 things to do in Rehoboth Beach will help you find something new and exciting to do at the beach.